Jamie and Sean's wedding day at Early Mountain Vineyards will always stand out as a highlight of my wedding photography. No details were spared for their guests to have an incredible time. Between the cigar bar... welcome beverage station... wedding programs... transportation for guests... armadillo groom's cake (for any fellow Steel Magnolias Fans)... a rockin band from Pittsburg... a dessert table for days... and the late night taco station... guests couldn't have been more pampered!! But, what stood out above all else was the obvious love and admiration that Jamie and Sean have for one another... the tears that were mutually shed during their first look and during their vows. What made this wedding extra special for me to photograph is that Sean is the brother of my very close friend, Jessica. These two are such a fun, loving, and cool couple (who own and operate Buckhead Saloon in Pittsburgh!). 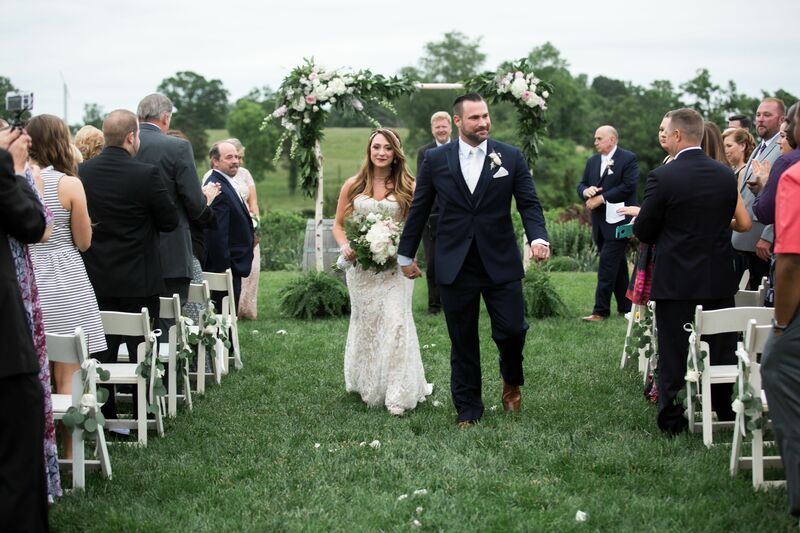 They traveled to Virginia to exchange vows as Sean was born and raised in Culpepper.